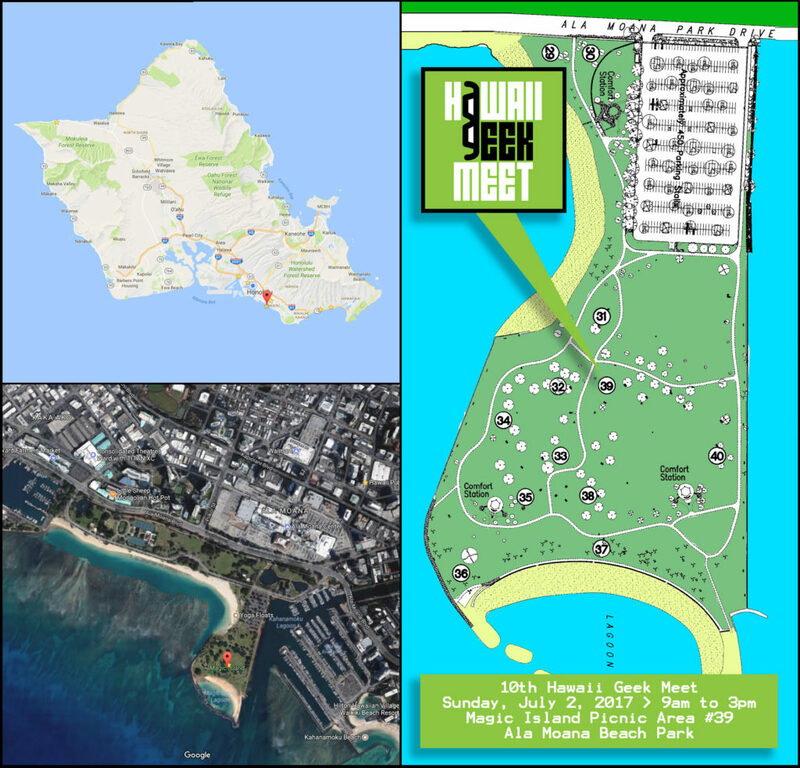 For its tenth birthday, the Hawaii Geek Meet is returning to where it all began: Magic Island at Ala Moana Beach Park, across the street from Ala Moana Center. We will be at Picnic Area #39, which is about halfway to the lagoon and just Ewa (west) of center. After a few years at Kapiolani Park, we’re back at Magic Island for its more central location, more ample park (and shopping center) parking, and easier access via public transit. Closer restrooms are also a plus! Of course the setting couldn’t be more Hawaii, with a beach, yacht harbor, and great view of Waikiki. Just remember to stay hydrated, wear sunscreen… and have fun!